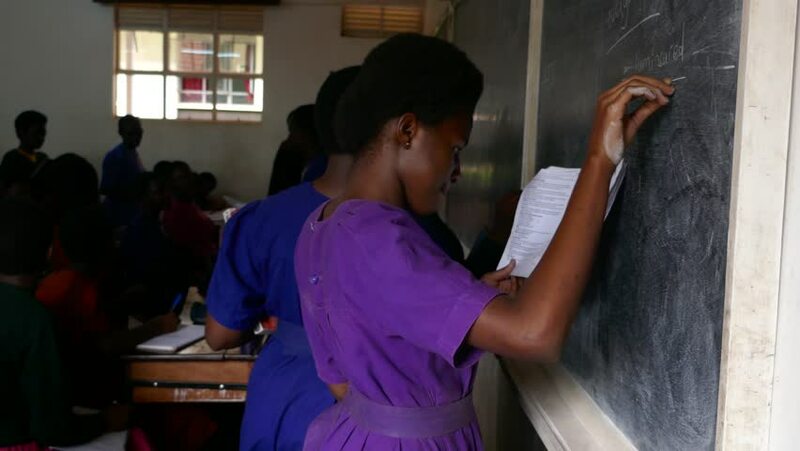 Kampala/Uganda - November 2018: Girls are practicing, solving mathematics questions on the blackboard in their colorful uniforms in their high school. 4k00:10Close up shot of attractive african woman using smart phone for chatting while standing on the roof. Side view. hd00:11LAGUNA, PHILIPPINES – MAY 30, 2015: Customary tradition among May flower pageantry participants, ladies dressed in Filipino traditional gown attend Catholic mass in honor of Helena or Reyna Elena.